Patrick grew up in the San Joaquin Valley of California. Never far from snow or water, he made his passion his business. 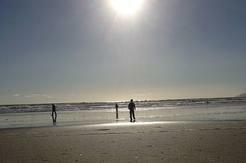 Today, PIERSIDE SURF COMPANY/BEACH CYCLE RENTALS work with customers across the globe. There's an extreme athlete in all of us, and we're here to help you meet him or her. Work with our team to find your sport of choice, and experience here in Pismo Beach the thrill of a lifetime. If you're as passionate about surf, skate or bikes as we are, then come by and come check out our shop. We carry a full line of skate and surf apparel as well as hard goods. 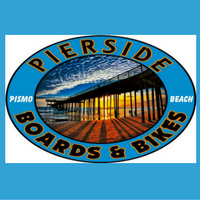 Click our Pismo Beach Welcome map here! Download "Pismo Map for Web.pdf"